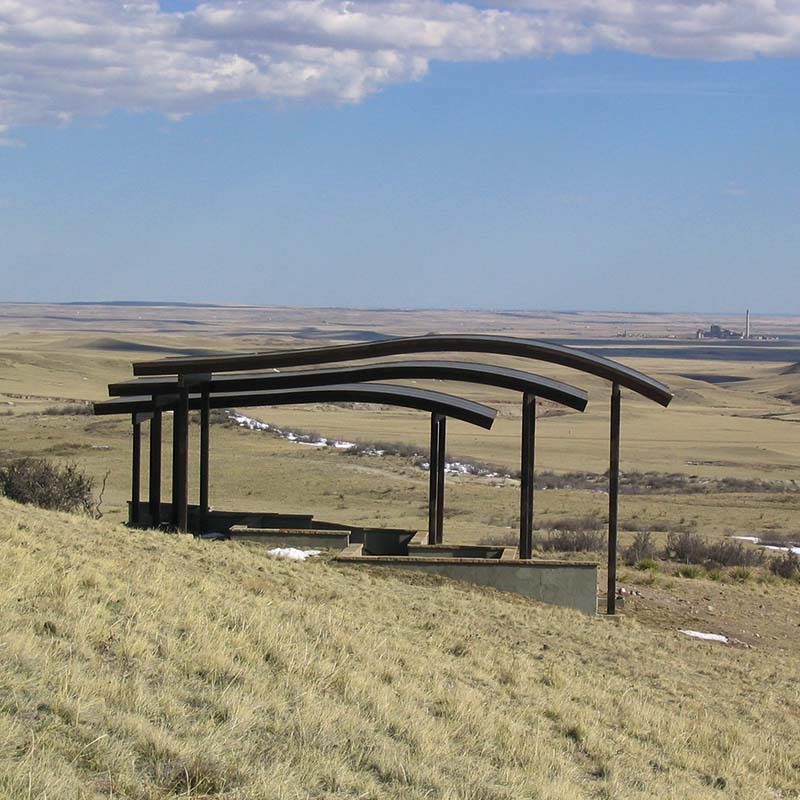 The artist created the roof concept and floor plan for shelters at a famous Smithsonian archeological site call Lindenmeier at the 50,000-acre Soapstone Prairie Natural Area in Colorado, responding to the rolling prairie and archeological dig layers. 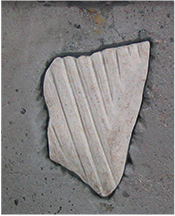 Carved, enlarged artifacts were inset into the walls. 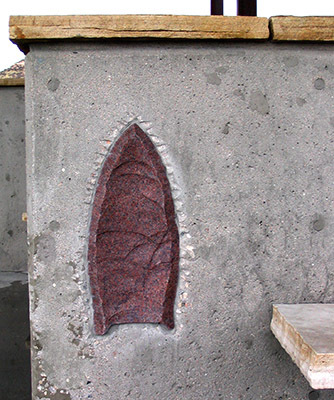 The artist collaborated with Aller-Lingle Architects to execute the design. 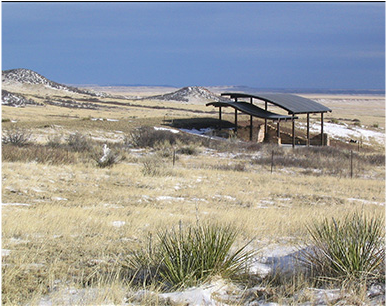 Rock cairn guide markers and an entry sign also were created by the artist.